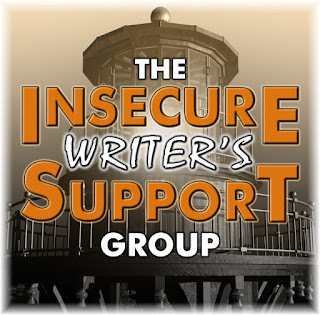 Time for another group posting of the Insecure Writer's Support Group, where we have a space to share our insecurities in the company of friends. Can you believe we're into February already? 2017 is going fast. Today's co-hosts are Misha Gericke, LK Hill, Juneta Key, Christy and Joylene Butler. And of course, as ever your host is the tireless Ninja Captain, Alex J. Cavanaugh! Today's question is: "How has being a writer changed your experience as a reader?" This is definitely an interesting question. If you immerse yourself in the world of writing, learning about effective pacing, tone, characterisation, and a host of other factors, I think it's inevitable that you will pick up on these things more in other books. That's certainly been the case for me. It doesn't mean I don't enjoy the story or get swept up in it. In fact, the mark of a really good book is one that manages to captivate by doing all the different elements so well that the whole thing seems effortless. But for books that don't work so well for me, I find myself projecting how I might have done something differently, and that's all good learning for my own writing. Turning to my insecurity for this month, it's pretty much what I noted at the top of the page; that this year is already going by fast, and although I got a fair bit of writing done in January, I'd like to have done more. Of course, February is an even shorter month, but I'm going to grab it by the throat and get as much out of it as I can. Springtime is on the way, which should be very productive and fruitful. What do you think of this month's question? Check out more responses here. I think being a writer changes so many things about being a reader; in good ways and bad. Mostly good, though! I can't believe it's February, either! I feel like I didn't write enough. I like to read to be inspired and motivated to get my own writing done. Keep going Nick. February has 28 wonderful days during which to write! Learning from those not so great books is the best thing you can do. February is shorter so the pressure is on! Let that motivate you. Since starting to write seriously I've noticed that I noticed author "technique" much more than I ever did before. The good news about January being over? We're that much closer to spring! Glad you can still enjoy reading. Me too. And I love when I can totally get into a book. Yes, January flew by. I don't mind too much because I really want spring to come. Hope you get more writing done this month like you want. I can't believe it's February either. How did that happen? Before I know it we will be the middle of summer and I still won't have accomplished anything. Good luck with your writing! I know you'll get your writing done. I have faith in you! That's why I get so excited when a submission comes in and it captivates me. Wow...grab it by the throat. So aggressive hahaha! I learn a lot from reading also. And a great story is a great story...I enjoy them still. I'm with you. I often look at the plot or character arcs and envision how they should have been. So yes, it's a good method for practice, and research. Your answer is very sensible. And I did a lot of writing in January too and hope to keep up that pace in February. I haven't done any creative writing since November. And this month I'm dedicating to editing, editing, editing, Hopefully in March I'll be able to write again. This year is flying by already! I like what you said: "But for books that don't work so well for me, I find myself projecting how I might have done something differently, and that's all good learning for my own writing." I'm reading a book right now that I was really jacked up to read and it's fallen short, so in my head, I'm noting all these things that could've been done differently. Good luck grabbing this month by the throat! Agreed. I think there's much to be learned from books that didn't quite get it right. Two or three days shorter doesn't seem that much to me :) January seemed to drag on; but since 2016 seemed to zoom by, a little slowness is welcome. I love it when I can lose myself in a good story and turn off my inner critic. I too learn from the writing mistakes, as well as the awesome stories. 2017 has been going by quickly for me, too. Can't help but feel incredibly behind on all my goals already. Best of luck accomplishing more in February! I agree -- how did it get to be February already?! Time flies too fast, doesn't it. I haven't done much writing in January but I hope to do better this month. Hope is so powerful. Enjoy that throat-grabbing February. I agree, it's going too fast! I agree--I may pick up on those elements in a book I'm reading, but it doesn't necessarily mean I won't enjoy the book. If the characters are relatable and the story is interesting enough, I can overlook quite a bit! I found the question of the month both intriguing and intuitive, even as I acknowledge a heretofore unconscious occupation while fully engaged in the season of critical self-assessment ;-) It seems by overwhelming agreement, the strength and flow of the story itself will carry the reader past the occasional weed in the flowerbed. Works for me, anyway. I do hope your attitude is contagious! Happy springtime, Nick! Hi Nick. I'm glad you're going to grab February by the throat. Wishing you the best! Great goals for the year. Don't be too hard on yourself. I love reading and being caught up in a story, although I did stop the other day in the middle of an action scene because of a mistake in verb tense - it switched suddenly from past to present and then back again. I felt bad for the writer and then moved onto the rest of the scene. At this point, knowing how many mistakes I've made, I don't itch to correct but I wish I could comfort the author who has a few glaring typos in their book. We're only one week into this month, so I'm going to do the same as you - grab Feb by the throat and get as much out of it as I can. Off I go! I feel the same. I've achieved a ton, but I want my current project done, and it's just not getting there. It's REALLY frustrating. Reading as a writer has to be different. The more you get to know your craft, you're either "I wish I'd written this" or "hey, I could have done much better than this". In my case, it's usually the latter. Being a writer has totally changed my reader experience. First and foremost, I edit in my head as I read. If I find a word misused, or a term applied wrongly, it pulls me right out of the reading. So in that way, it's made reading less enjoyable, because my brain is now trained to watch for those anomalies. For instance, the other day, reading a well-known author, I found reign instead of rein in the sentence - She needed to rein it in. I have to laugh! You're so right, writing where you forget the mechanics behind it is pure magic. Let's hope the spring is prolific for us all! If it's a good story, I still get lost in it. But then consciously make an effort to note what the author did right to make the reading so effortless. If it's not well written, the writer in me is right there every minute wanting to edit and I'm not able to get swept up in the story. Hope February is off to a good start for you, Nick, and you get lots of writing done! Good luck conquering February! I also got less done than I would have liked. When I'm reading a really well written book, I'm lost in it. The ones that don't hold my interest as much are the ones I find myself studying more. This year is definitely flying by. I can't believe it's almost March already...gleep! I wish you a productive and writing-filled month. Great question. Being a writer makes me pay attention to the craft of the book. I agree with you--I know it's a great book if I become totally immersed.